In 1980, a group of graduate students at the University of Chicago began separate studies that called into question the common wisdom of the education world. Working in different schools and different grades, they asked: what kind of progress might students make if they were each given highly favorable conditions in which to learn? Their proxy for such conditions was simple: skilled tutors who aided the students based on their individual needs. “As the … results began to emerge, we were astonished,” both by the impact and the consistency of the results, wrote their professor, Benjamin Bloom. Nearly every student with the tutoring — 98 percent — out-learned a comparison class, and 90 percent reached levels of achievement that only the top 20 percent of the non-tutored students did. What might all our children be capable of if they had the opportunity to reach their true potential? What if our challenges educating children have been the result of our inability or unwillingness to provide the conditions for their success — not the limits of students’ supposed “innate” talent? And, knowing that today it is the most privileged young people who receive the most tailored education, what is fair and just to those who need it most? These are the questions that drive the education work of the Chan Zuckerberg Initiative. It is a compelling fact that when teachers have the opportunity to design learning experiences that truly fit students’ needs, extraordinary things are possible — but that in the past, such learning environments have been the very definition of privilege. We believe that a fundamental shift in focus, from a one-size-fits-all system to one tailored to meet the unique needs of individual children, and recognizing needs far beyond merely the “academic,” has the potential to benefit all — and especially those who have had the least advantage. That’s not dogma, it’s science. From settings as various as inner-city Chicago to the decks of naval ships, comes increasing evidence that when education is truly “personalized” — when it is genuinely tailored to the needs of the student — the shift can be profound, blowing away the expected “bell curve” that dictates a handful of failure, a bit of excellence, and a bunch of mediocrity in between. a belief that dramatic outcomes were possible. That, in short, is a description of the education all children deserve, but few are privileged enough to receive. And that is what we are seeking to change: to take the kind of focus on individual needs and support that define privilege and make it available to all — to make equal opportunity real. In that effort, we strive to hold two ideals in tension: boldness and humility. It will take boldness to reimagine what’s possible for students, radically elevating beliefs about their potential. Yet it also takes humility to recognize that what we describe as personalized learning is an extension of what Maria Montessori was doing a century ago. And while there are more questions to answer and new science to bring to bear, this work is not simply about invention — it’s also about listening to and engaging students and teachers in designing their own solutions while connecting effective practices that exist today in the classrooms of great teachers all over the world. This effort requires a willingness to expand the way we define achievement, in ways that better align with the full range of skills, habits and mindsets that line up with real-world success — and with children’s and parents’ aspirations. For those reasons, we aim to support a vision of education that sees children as far more than their academic capacities. That vision embraces the role of social-emotional and interpersonal skills, mental and physical health, and a child’s confident progress toward a sense of purpose. Indeed, such a sense of purpose is not just inherently vital, but also foundational to academic and professional success. It’s a more encompassing vision than the overly narrow box into which some are painting “personalized learning.” Lately, that term has been slapped on images and stories in which a computer screen intermediates or substitutes for a child’s relationship with a teacher, and where an academic measure is the only one that matters. 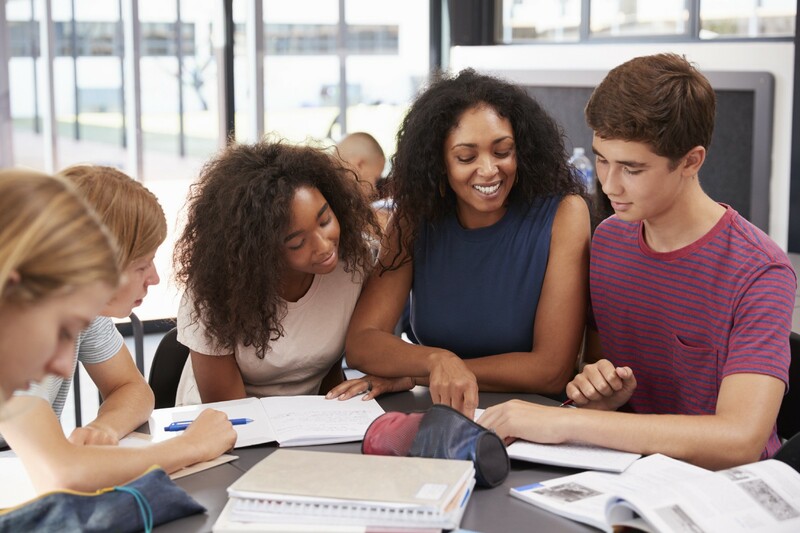 Our notion of personalized learning, by contrast, is focused on enabling powerful relationships and shared experiences between people — between teachers and students as well as students with their peers, each empowered by learning opportunities with fewer boundaries and much more intensive support. Technology can support great teaching and has the potential to help individualize learning experiences in ways and at a scale that Bloom could not have imagined in the 1980s. But it is still just a tool. The heart and soul of education remains about great practitioners working lovingly and skillfully to create the environments and experiences that truly change lives. Skeptics of personalized learning will argue that it’s not a proven strategy — by which they mean that the field has not produced a single set of strategies that work on a wide scale. To some extent, that’s true. There are pieces that are having encouraging impact, powered by great schools, great teachers, and great tools. But the work of bringing those pieces together, and of helping everyone learn much faster from what’s working — that’s the work we’re committed to continuing and much of it lies ahead. In the near term, our efforts to create student centered learning experiences and environments will be focused in three areas: empowering educators, fostering breakthrough practices and products grounded in the science of learning and development, and creating the context for change. We believe it’s essential that practices and tools that can make a difference get into the hands of educators and students quickly, and that teachers have increasingly high-quality information about students’ progress. We’re investing in tools that can help teachers help students advance at their own pace with an individual learning plan that sees students holistically, breaking down barriers to student access and success, and supporting research that will help our field speed up how it learns about how students learn. And we’re working toward a context where students have the opportunity to reach their potential and where educators have the freedom, tools, and supports they need to succeed and innovate. In all of this, we feel the weight of responsibility to work in a principled way. Student learning, in a word, is sacred. It’s on us to listen extensively and carefully, to teachers, students and their families. It’s our responsibility to learn quickly and find ways to ensure that learning reaches the professionals who can put it to use. And it’s likewise our responsibility — as it is for anyone in this work — to ensure student privacy is thoroughly protected, and student data is used responsibly. Education is a public trust and our actions must honor that understanding. What is most exciting to me in all of this is a vision of education that is more equitable and just. As these new approaches evolve, I believe we will be able to consign the bell curve to the scrap heap, remove or repurpose the labels that are too often simply proxies for low achievement, and focus on addressing the individual needs that will be more precise and more important than zip code or wealth or home language or a set of other traditional descriptors of what puts kids “at risk.” In no way are we naïve about what a big challenge that is, or about the complexities of some students’ lives — but we are profoundly optimistic about what more is possible when we do a better job of seeing them and their individual needs. If the push for genuinely personalized learning is successful, it will respond to the traditional drivers of education improvement — the need to prepare more students for success and fulfillment, and to fuel economic strength in a world where education is the ultimate capital. But more than that, it will respond to the hunger among students, families and teachers to explore and harness their individual creativity and gifts — letting teachers do the work of their lives, and letting students become the people they dream of becoming. In that work, we stand on the shoulders of a century of education innovators — and we need and seek the partnership of many more. To learn more and work with us to unlock the potential of each student and make education more equitable and just, please visit www.chanzuckerberg.com.